Art and Appetite: American Painting, Culture, and Cuisine at the Art Institute of Chicago. 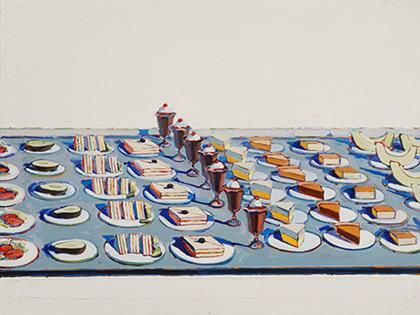 I never miss an opportunity to see a Wayne Thiebaud painting. It was fun to go through this exhibition, over a hundred paintings ranging from the 1800s to Claes Oldenburg’s soft sculptures including his giant egg.